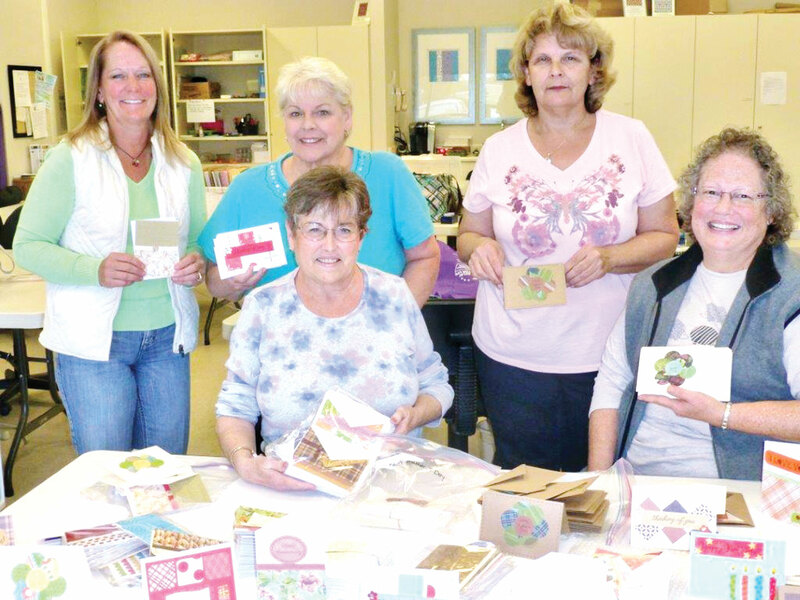 On Saturday, January 31, some of the papercrafters got together to create cards to be put into care packages that are sent to the troops. The papercrafters will be sending over 260 handmade cards that include sentiments such as: Happy Birthday, Thinking of You, Just Because, Happy Mother’s Day, Happy Father’s Day, Happy Anniversary, along with some card with no sentiment. These cards will be sent to the Forgotten Soldiers Outreach Organization. The FSO is a non-profit organization that ships care packages with donated items and letters to United States military active men and women serving overseas. Some of the items included in the care packages are toiletries, food items, pens/pencils, playing cards, puzzle books, socks and insect repellant. The troops will be able to use these handmade cards to send back to their loved ones. The papercrafters will continue to make and collect cards for a future shipment to the troops. If you would like to donate some cards, please contact Pam Costner for pick-up.